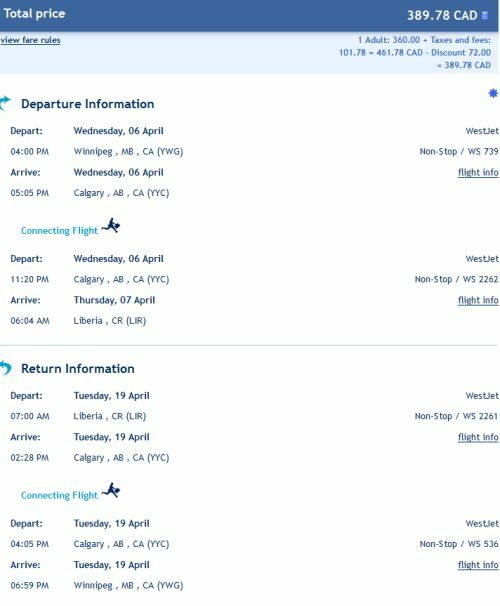 WestJet is showing a few flights from Winnipeg to Costa Rica for $389 CAD roundtrip including taxes. Limited dates in April 2016. Limited seats as well, as WestJet only seems to be showing 1 seat available on each date. 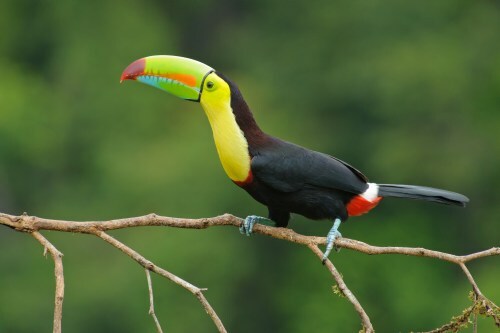 3 Responses to "For the solo traveler: Winnipeg to Costa Rica - $389 CAD roundtrip including taxes"
Thanks for the info JJ, this means it has likely sold out. I am not surprised this sold out right away. Great deal.